When a snack attack strikes, our picks for the healthiest machine cuisine are less hazardous to your hard-earned physique—if you can resist all the junk. You hit the snooze button one too many times, so you rush off to work without much of a breakfast and nothing prepared for lunch. By midmorning, what starts out as a growl in your stomach turns to a roar. You scour your food drawer but find nothing but a stale protein bar that&apos;s been sitting there for months. Once that&apos;s devoured, albeit with some jaw work, you search for other options. You momentarily consider the container of yogurt in the break-room fridge, only to find it seems to have disappeared into the stomach of a co-worker. So you can go hungry the rest of the day, or you can try your luck with the office vending machine. While the overwhelming majority of the items on offer with the push of a button are full of nutritional sins and empty calories, not every choice from the vending machine will torpedo your diet. If you can resist the chips and candy, you&apos;ll find a few acceptable foods behind the glass that can make a snack attack less deadly to your six-pack pursuit. Now let&apos;s just hope you have the right change! When you give in to vending-machine temptation, it&apos;s hard to do better than a bag of nuts such as peanuts or almonds. Full of healthy fats, fiber, and even some protein, the crunch bunch can help quell hunger until you&apos;re able to nosh on your next meal. M&Ms? Not so much! 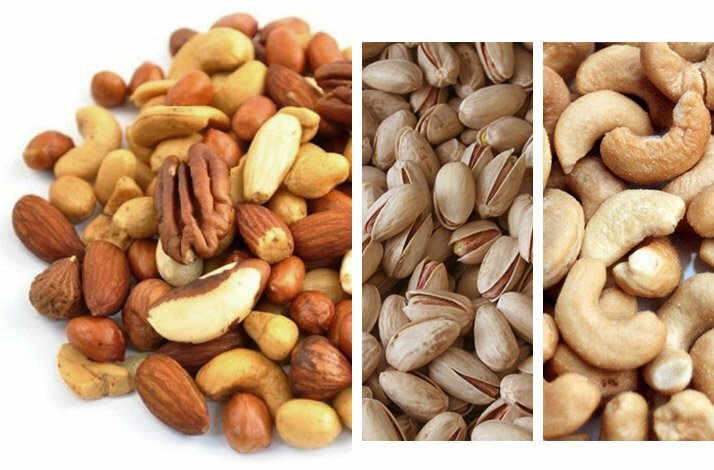 Despite the calories nuts contain, a 2014 study by Harvard University researchers found that regular nut eaters were less likely to pack on the pudge over relatively long periods of time.1 If possible, opt for unsalted nuts to help keep your sodium intake in check. "Full of healthy fats, fiber, and even some protein, the crunch bunch can help quell hunger until you&apos;re able to nosh on your next meal." Once the domain of hippie enclaves, granola bars are now a vending-machine stalwart. While they tend to be light in protein and fairly high in sugar, granola bars often contain whole grains such as oats. And at less than 200 calories in most cases, they&apos;re a much better option than candy bars. In fact, more machines are now stocking better-for-you bars made with wholesome ingredients like dried fruits, seeds, and honey. "Popcorn is considered a whole grain and delivers hunger-quelling fiber and a surprising dose of antioxidants." Just steer clear of any flavored versions such as kettle corn, which can be doused in shockingly high amounts of sugar. And it goes without saying to watch out for butter flavors that boost your calories from fat. While there are reports out there suggesting specific chemicals used in the packaging and flavoring of microwavable popcorn can increase your chances of developing certain types of cancer and lung disease, there are no clinical studies showing a direct link between consumption of popcorn and disease. Generally speaking, it&apos;s very unlikely your health will suffer if you eat popcorn in moderate amounts. When weighing the pros and cons of each snack to identify the safest option, consider pushing the button for a packet of the seeds that hail from the sun-loving flower. Sunflower seeds offer satisfying crunch along with several nutritional perks including plenty of vitamin E. Scientists from Tufts University in Boston found that higher intakes of this antioxidant may help lessen the oxidative stress on the body associated with intense, eccentric exercise.3 As with nuts, opt for the unsalted seeds if they are available. 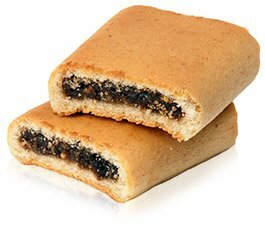 If you need to satisfy a sweet tooth, ye olde Fig Newtons can be a better choice than anything else in the rows of candies and cookies. That&apos;s because they actually contain some real fruit along with a shot of whole grains. In fact, figs are fiber heavyweights when it comes to fruits, which can help dampen any wild blood-sugar swings that&apos;ll leave you feeling even more zapped of energy. Just make sure they&apos;re an emergency backup and not a daily habit. While not a nutritional saint, a small bag of plain pretzels—not honey-mustard or other suspect flavors—can offer low-fat snack satisfaction minus any belt-stretching sugar or trans fats. And because they come in single-serving bags, you have built-in portion control. Wash them down with bottled water instead of the sugar bombs masquerading as bottled iced tea or energy drinks. Here&apos;s more proof that the omnipresent vending machine isn&apos;t entirely evil. If you select the original flavor, these crackers have a blissfully simple ingredient list of whole wheat, oil, and salt that you won&apos;t find among the greasy chip offerings. Triscuits can deliver nice amounts of fiber, but try pairing them with some peanuts for a better balance of carbs, protein, and fat. Jackson, C. L., & Hu, F. B. (2014). Long-term associations of nut consumption with body weight and obesity. The American Journal of Clinical Nutrition, 100(Supplement 1), 408S-411S. Sacheck, J. M., Milbury, P. E., Cannon, J. G., Roubenoff, R., & Blumberg, J. B. (2003). Effect of vitamin E and eccentric exercise on selected biomarkers of oxidative stress in young and elderly men. Free Radical Biology and Medicine,34(12), 1575-1588.